Leg day, oh Leg day ..
Good morning everybody. Last night was such a great night with Kauri, Gaylord and her auntie. This morning I still felt full from dinner. I didn’t stuff myself last night but we had a lot of variety. What was even better as the ice cream came out I had no interest whatsoever. This mornings Ketonix reading was green 8 flashes. So low level acetone/high range. Leg training is done for the morning. 20 reps per set with a slight increase in weight. Today’s workout was easier than I was expecting. Breakfast was waffles, fried eggs, ham and jalapeño with fried tomatoes (the same as yesterday) We will need to go shopping soon, inventory running low. Mid morning is a couple of fat bombs and chocolate chia pudding. One thing I didn’t realize is there are different qualities of chia seeds available. We managed to source some cheaper seeds. They certainly don’t absorb liquid the same. So I’ve learnt something new. Who said you can’t teach an old dog new tricks. Lunch is more of a snack than an actual lunch .. I’m not hungry and while you should eat when hungry I need to stay at maintenance for this month. So I’ll have some pork crackling sprinkled with a little vinegar. These are fantastic. They are very filling so I had half of what I intended to eat. One thing I’ve worked out is why my blood glucose reading was high. The strips had expired end of December last year even though the meters not not that old, less than 8 months. It must have been in stock for some time before we purchased it. Dinner tonight was roast chicken and green curry. We actually don’t roast our own chickens at home. We get them at the market place from a good friend of ours. 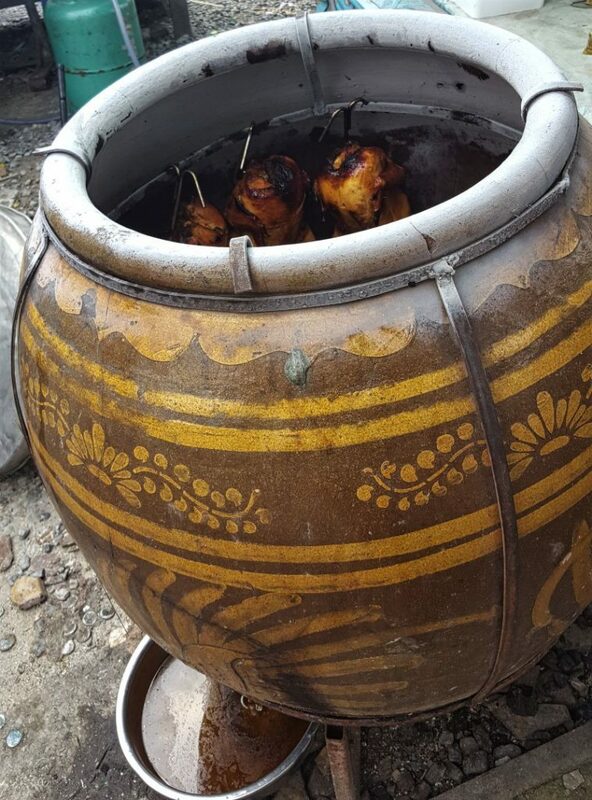 They are cooked in a giant terra-cotta jar and cheap to buy and have a lovely smoky flavor. So that’s my Sunday. It’s been low key today. Thats it for me my favorite movies about to come on ..Deadpool ..
what else would you expect.